Doodles are literally everywhere these days! Intelligent, cuddly, and lovably silly with the added benefit of being hypo-allergenic, it’s not hard to understand why they are fast becoming the family dog of choice for so many Americans. The Double Doodle, also know as a North American Retriever, which is a cross between a Goldendoodle and a Labradoodle. Since Doodles are purebred hybrids, they are not recognized by any kennel club; however, their genetic diversity gives them “hybrid vigor” and results in a hardier dog that is resistant to the predisposed health problems of its purebred forebears. Are you ready for a Doodle? If you are looking for a smart, athletic, trainable clown that thrives on human companionship, then a Goldendoodle, Labradoodle, or Double Doodle may quite possibly be for you! Labradoodles and Goldendoodles are derived from breeds originally used for hunting, so they do require daily exercise and mental stimulation in order to be a happy house pet. Basic obedience training is a necessity—not only in order to establish household rules and good manners —but to provide Doodles with the mental enrichment they crave; otherwise, they are prone to getting into trouble around the house due to boredom-related behaviors. At Dog Savvy Los Angeles, we recommend incorporating play-training, otherwise known as positive reinforcement training or learning through games of choice, into your daily routine with your Doodle to ensure they remain well-mannered and get the daily enrichment they need. Since their soft and silky coat is made of hair, not fur— a trait they inherit from their Poodle gene pool—Doodles are known for having a low dander count and being minimal shedders. These qualities make them an attractive choice for families looking for less upkeep around the house and a dog with a lower impact on allergy-sufferers. However, this also means they require regular grooming (otherwise their coat will quickly get matted) and that they are magnets for foxtails, fleas, and ticks, so be prepared to brush out your Doodle’s coat regularly (or to take them to the groomers) and to shell out for good flea and tick medication, which can get expensive. Doodles need human companionship and don’t do well in isolation, so if you work long hours and love the nightlife, they will not fare well in your home, unless you can afford regular daycare, dog-sitting or dog-walking services. Undesirable behaviors like excessive barking or destructive chewing will develop if they do not get the attention they require, so ask yourself if you are really ready to commit the time investment it takes to raise and train a Doodle before getting one. Because of their intelligence, all Doodle puppies require consistent training throughout their first year and benefit from puppy training classes and basic obedience training, plus, ongoing training is the best way to strengthen your relationship with any dog. 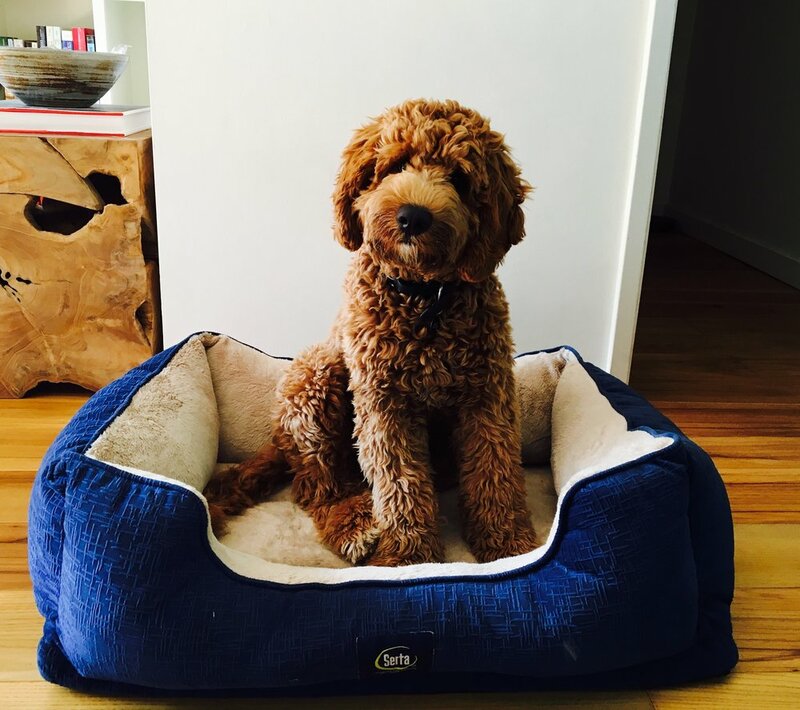 If you are willing to teach your Doodle puppy basic rules of good dog citizenship, spend time with your companion every day, and provide your canine athlete with daily activity, you will be rewarded with, quite possibly, the perfect dog! We adore Doodle breeds at Dog Savvy Los Angeles and look forward to hearing from you if you live in Los Angeles and want to get the very best training you can for your dog. Los Angeles dog trainer Alexandra Bassett is the owner and lead trainer at Dog Savvy Los Angeles, a dog training company that specializes in positive dog training and solving problem dog behavior like dog separation anxiety, leash reactivity, and aggression. She is certified as Knowledge Assessed by the Council of Professional Dog Trainers (CPDT-KA) and is available for online dog training sessions via Skype.